This year Milton Keynes turns 50. Tonight BBC4 is marking this anniversary with the programme Milton Keynes and Me by Richard Macer. Designed to provide housing for over populated London, which had been badly bombed during World War II, development of the existing village of Milton Keynes began in 1967. 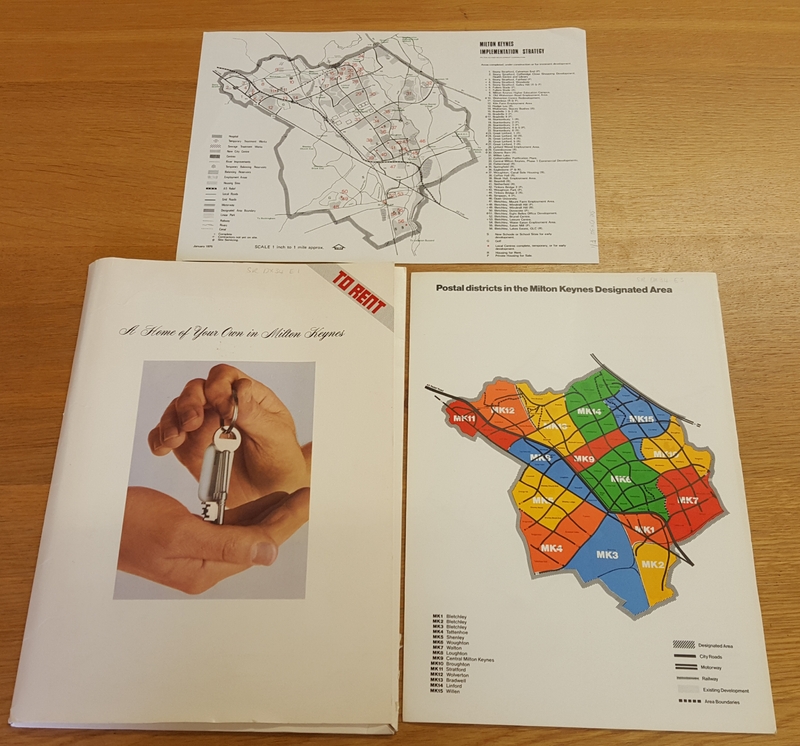 Milton Keynes was part of the third wave (1967-70) of new towns, designated following the 1946 New Towns Act, which designated sites to become new towns and passed responsibility for developing them to Development Corporations. The Milton Keynes Development Corporation was the organisation behind the development of Milton Keynes, Bedfordshire. The Act followed the Greater London Plan of 1944, prepared by Patrick Abercrombie at the request of the Minister of Town and Country Planning, which laid out plans for how to rebuild London and deliver housing needed for the growing population, following World War II. Other new towns in England you might be familiar with include Stevenage (1946), Bracknell (1949) and Redditch (1964). So what does this have to do with English rural life? Those new towns needed to be built somewhere. Often existing settlements were expanded by building on surrounding undeveloped or agricultural land. The Milton Keynes Survey was conducted by representatives of the Department of Agricultural Economics, at The University of Reading, in the late 1960s to early 1970s. 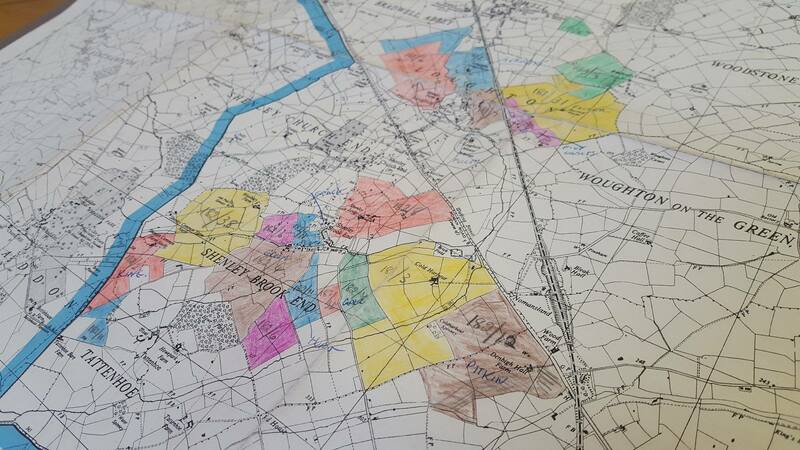 Files, publications, documents, press cutting and maps relating to the survey are held in the archives of the Museum of English Rural Life (reference: SR DX34). The material in this collection was compiled by and relates to several studies they published about the impact of Milton Keynes on agriculture in the area. 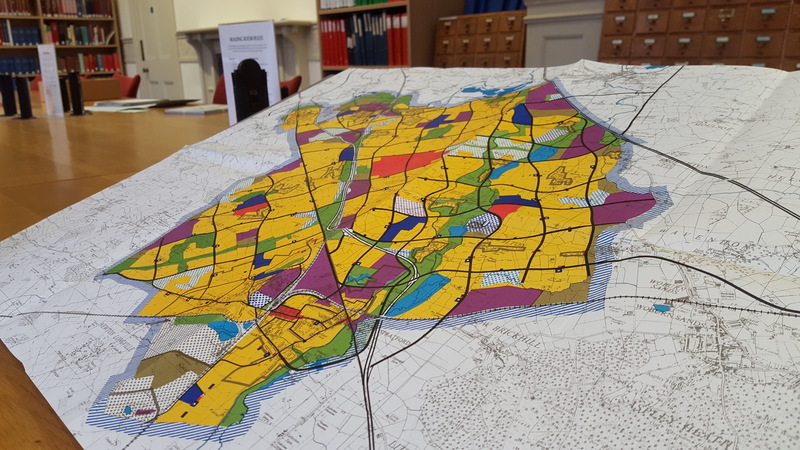 Our Landscape Institute collections also hold information for researchers of new towns. We hosted a FOLAR seminar on the topic of new towns and landscape last year. We hold a copy of The plan for Milton Keynes published by the Milton Keynes Development Corporation in 1970. The Plan outlines ideas around the transition of land from rural to urban usage and the impact on the environment and landscape the expansion will have. 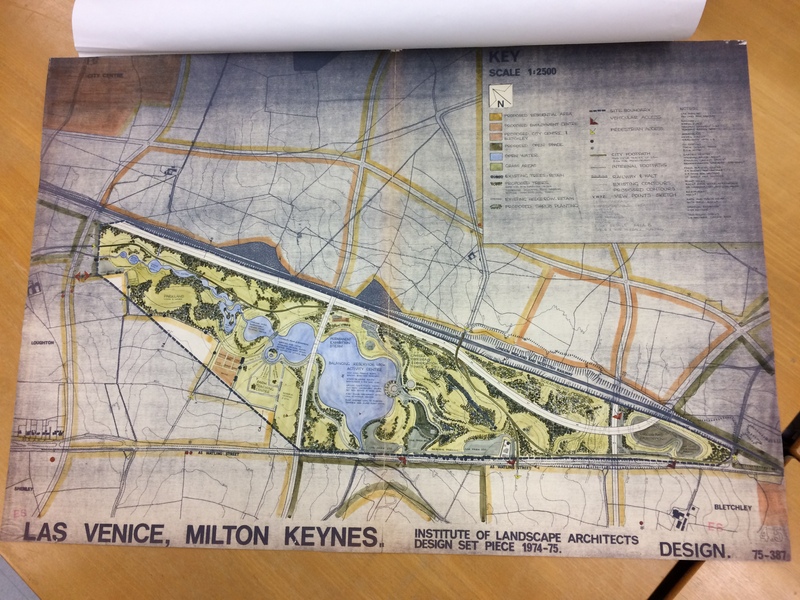 When training to be a landscape architect in the late 1970s, Marian Thompson, chose to create a design for a lake in Milton Keynes for one of her exams, named Las Venice. Though we do not know if the design ever went beyond her exam, the area is now called Tear Drop Lakes and is part of Loughton Valley Park. The development of new towns in the mid to late twentieth century, such as Milton Keynes, brings into sharp focus the reciprocal, but sometimes conflicting relationship between urban areas and the countryside. How do we balance the need to provide for a growing population with concerns over protecting the landscape and environment?